In one of the Dominican friar’s cells in San Marcos Convent in Florence, Fra Angelico painted a haunting fresco based on John 20: 11-18. It is Jesus but she doesn’t recognize him until he calls her by name. She thinks he is the gardener. In Fra Angelico’s fresco Jesus is a gardener, carrying a hoe over his shoulder. Could Jesus really be a gardener? 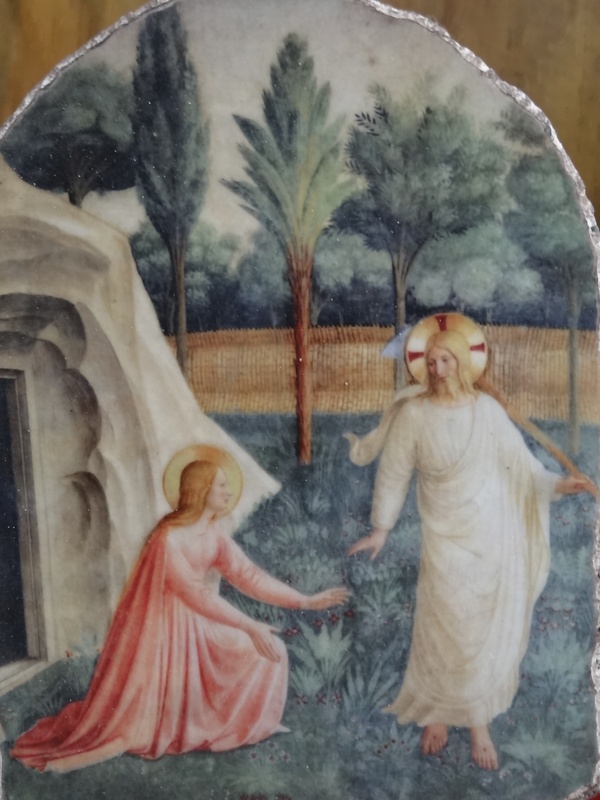 Could he be the one risen one who seeks to restore the garden of our souls, as he gives new life and hope to Mary of Magdala? Could he be the risen one who seeks to restore the garden of our world, torn by death and violence, so that we might live more like our first parents in the Garden of Eden? Let us open our hearts to the gardener who prunes, fertilizes, and waters us by his death and resurrection. Let us commit ourselves to live as gardeners of this world, seeking to bring integrity, peace, and compassion to our broken world. Perhaps that’s how we can celebrate the risen Lord, the gardener. There is a longer essay by Father Peter Schineller, S.J., on his website, here. 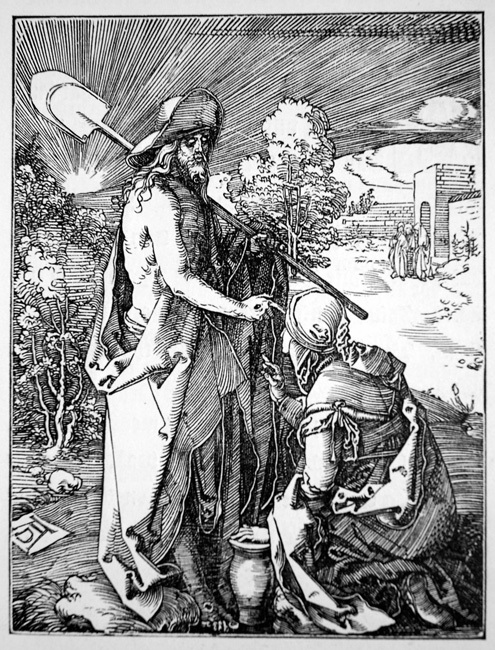 He notes that a Albrecht Dürer engraving of the encounter of Jesus with Mary of Magdala also presents Jesus as a gardener. The icon of the resurrection most used by the Orthodox Church is Jesus in “hell,” opening the gates so that Adam, Eve, John the Baptist, and others might share in the glory of His resurrection and experience fully the joy of God’s presence, Heaven. 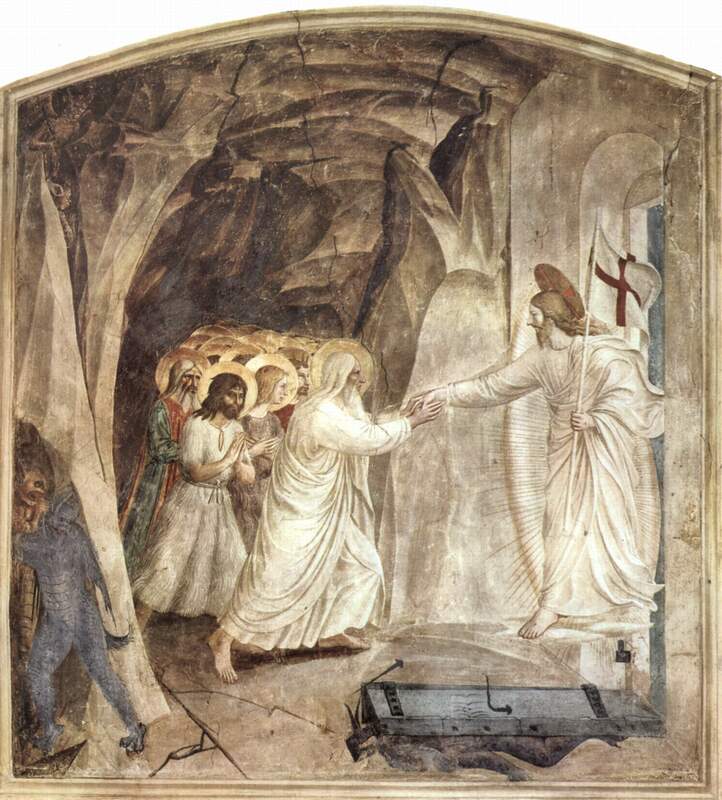 In the west, especially since the Middle Ages, the image has most often been Christ rising from the tomb, with the soldiers falling to the ground. However, there is a beautiful image of Jesus “harrowing hell” by Fra Angelico and his followers in one of the friar’s cells in the Convento San Marcos in Florence. Christ, triumphant, has broken down the door to the cave and brought light to those awaiting his coming. He reaches out as if to pull them out of the darkness into light. …the Lord sleeps in His fleshly nature,; in the netherworld he is wakening those who have slept for ages. …He wills to visit those who sit in the dark shadows of death… The Lord takes Adam’s hand and says: “Awake, sleeper, and rise from the dead and Christ will give you light…. I bid you: awake, sleeper! I did not create you to lie bound in hell. Arise from the dead, for I am life to those who have died. Rise up, work of my hands, my likeness, made in my image. Rise. Let us go hence. We rest, today, waiting to celebrate the risen Lord. But also we wait to celebrate the promise of life eternal – which begins now. That means respect for our bodies and for all creation. How can I run away from my body, when it will be my companion at the resurrection? “Were you there, when they crucified my Lord?” is a haunting spiritual which is often sung on Good Friday. It is a challenge to us: Do we accompany our Lord in His passion, death, and resurrection? Often donors were depicted in scenes from the life of Christ, as a way to recall their patronage. But there is an image of the Pietà, Jesus taken down from the Cross and placed in his mother’s arms, that expresses not patronage, but devotion, and the desire to be with Christ crucified. The most famous is Michelangelo’s in St. Peter’s Basilica. 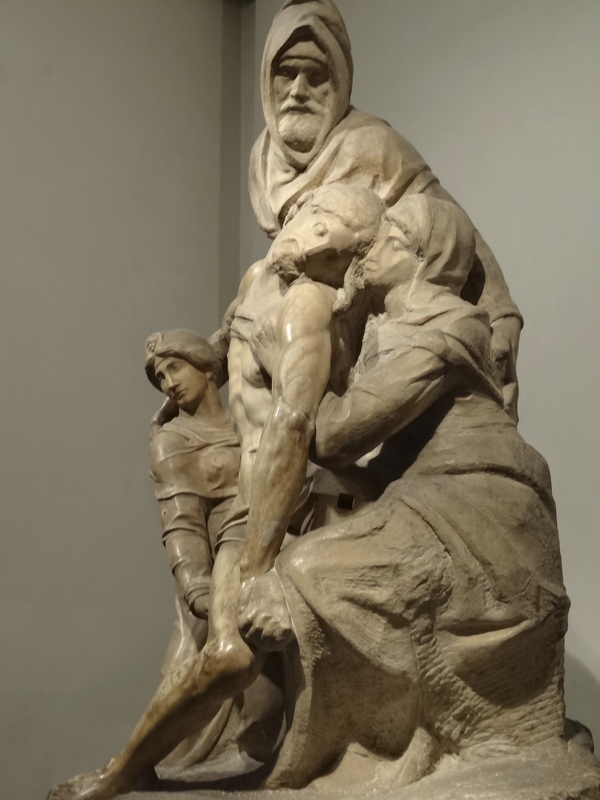 But I was moved more by Michelangel’s late work, the unfinished Pietà in the Cathedral Museum of Florence. The upper image, Nicodemus, is a self-portrait. Michelangelo felt a need to put himself into the sculpture as he was, in his later life, trying to life more fully his faith. Are you here, God, in the midst of the suffering? There are two paintings that try to answer this question. 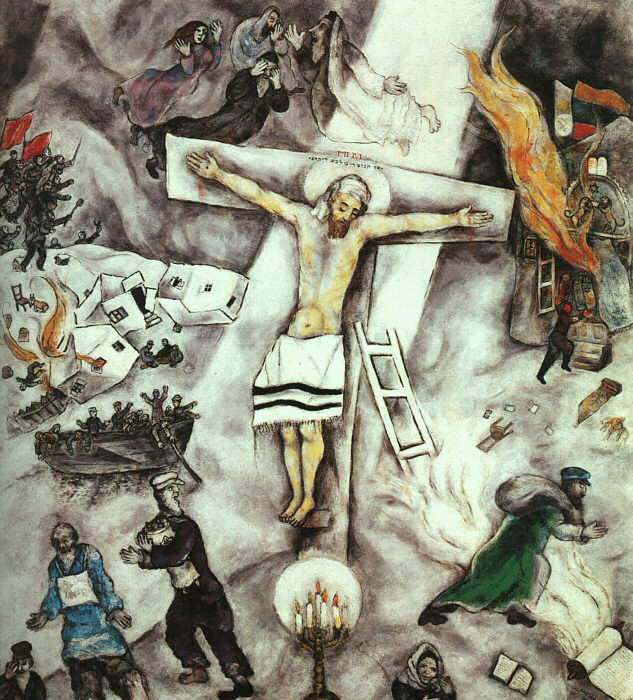 The first comes from an unlikely source, Marc Chagall, the Lithuanian Jewish artist, who surprisingly painted not a few images of Jesus Crucified. 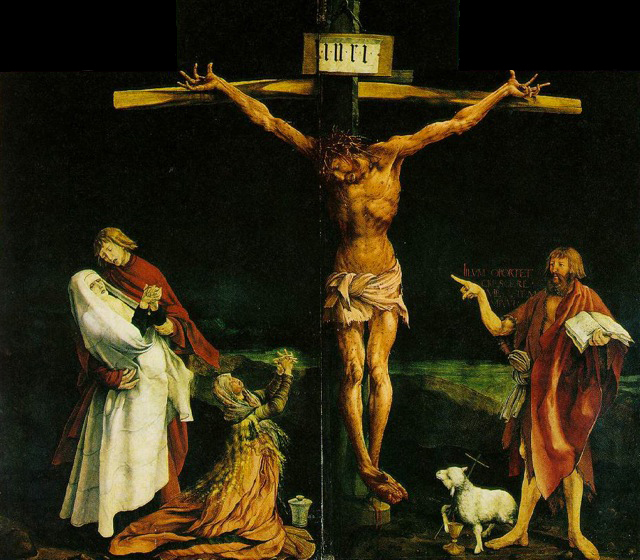 One of his most famous, The White Crucifixion, is in the Art Institute of Chicago. The Crucified Jesus, his loins clothed in a prayer shawl, is surrounded by scenes of the persecution of the Jewish people: burning homes, fleeing people. He, a Jew, sees in the crucified Jesus the suffering of the Jewish people. For me, as a Christian, it reminds me that when anyone suffers, especially the sufferings of persecuted peoples, like the Jews, God also suffers. 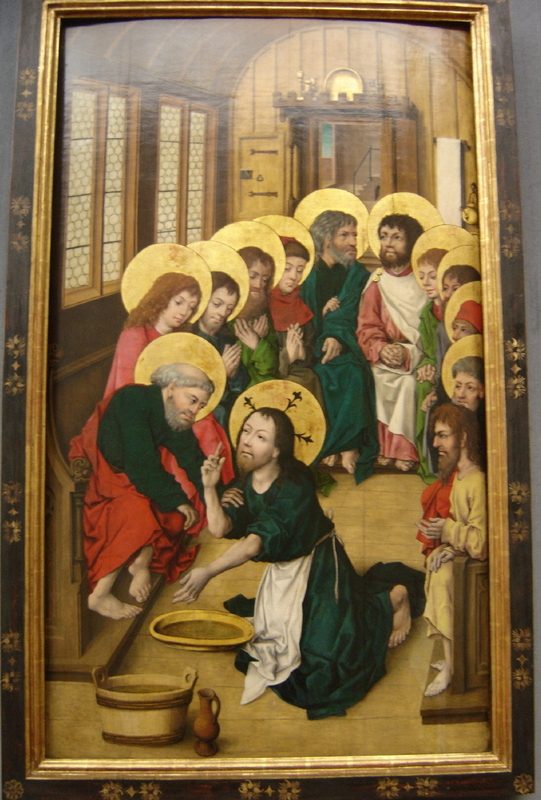 The altarpiece was painted in the early sixteenth century for the chapel of the Antonine monks who cared for the sick, in a hospital for people suffering from ergotism. If you look closely the body of Christ is covered with sores; these are like the sores the patients bore on their bodies. Those suffering patients could see Christ suffering with them. Christ Jesus is not far from us in our sufferings. He accompanies us in our suffering. but he heard the poor when they cried. God is here, among the suffering. Are we there? Almost immediately after Cardinal Jorge Bergoglio was announced as Pope Francis, photos began appearing of a priest kneeling and washing the feet – of women in a maternity hospital, of young people in what may have been a drug rehabilitation center. And today Pope Francis will visit a center for rehabilitation of young offenders and wash their feet. Then, on the day of his inauguration, Pope Francis stopped the pope-mobile to descend to bless and kiss a seriously disabled man held in the arms of two young people. A few years ago I was leading the Holy Thursday celebration in the town of Vera Cruz (which mans “True Cross”). The people were reluctant to come forth to have their feet washed. Finally we got twelve boys. These were not manicured feet, washed beforehand for a church ceremony. They were kids’ feet – dirty. So too much have been the feet of Jesus’ apostles. But what Jean Vanier emphasizes and what I think is critical about the washing of the feet, especially among the poor, is that this is revolutionary because it shakes up the social hierarchy and calls us to descent, to take the downward path. “If I cannot show that I want to be your servant, then you are no longer my friend. 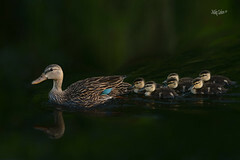 Because you must understand that message turns everything upside down.” Those who are at the bottom come up to the top. In our world, those who are impoverished, those who suffer disabilities, those who are marginalized because they are young, or imprisoned, or addicted receive a message that they are worth little or nothing. But the message of Jesus, washing feet, is to give all a sense that they are loved, that they have an inestimable worth. How did Vanier and the community do this? They bathed him with love, with tenderness. And so Vanier suggested that, in washing the feet, Jesus is telling us a lesson on how to be children of God, sisters and brothers in Christ, how to be a Church of the Poor. Today I’m going out to the village of Plan Grande to distribute Communion during their Celebration of the Word. Two village leaders will lead the Celebration of the Word and the Washing of the Feet. I asked to also be able to wash feet. It’s the least I can do – washing feet and then distributing Him who washed feet. That’s what our faith is about. that you should also do as I have done. I get attached to specific translations – and not always the same one. I find that New American Bible’s translation of Isaiah 50:4 speaks to me more than other translations (in English, Spanish, and Latin), though the Spanish Biblia de Nuestro Pueblo comes closest. God gives the Suffering Servant a well-trained tongue, the tongue of a disciple. God heals us of our faulting words, our twisted tongues, our feeble attempts to speak. So that we can speak to the weary, the dejected, the disheartened, those crushed in spirit. A word of encouragement, a word that will rouse them, wake them up, shake them up, give them the courage and the conviction to live. How many need to hear that type of word – the people in the countryside here in Honduras crushed by poverty and violence, and looked down upon by many; the people who are out of work throughout the world; those who are missing loved ones who’ve died; those who have lost a sense of direction for their lives; those who are disheartened by rigidity and lack of compassion in structures of church and state; those who lack someone who shows them that they are loved and have a dignity that no one can take from them. That is what God offers us and what Jesus shows us in the Gospels. There is so much sense of worthlessness and of powerlessness that I see here in Honduras (and even, sad to say in the Church), that we need to be people who know how to speak words of love, of tenderness, of encouragement to rouse people to live. I believe that is an essential part of what the Paschal Mystery of the Death and Resurrection of Jesus ought to be for us – a word that rouses us to life. Death is not the final word. The first readings for most of Holy Week come from the Suffering Servant Songs in Isaiah. Today’s reading from Isaiah 49 often sustains me. Part of this. I think, is due to our US emphasis on achievement, on proving ourselves by what we do. Part is due to our desire to not have wasted our time. But, I think, in some ways, that it’s a question of our spirituality: It’s all about us and how we feel about what we do. No, it isn’t, God reminds us. God works with us, with our failures and our half-baked efforts. And we never will know all that God does through our actions that do not show immediate results. I have experienced this many times. Once someone told me how much something I said helped him; yet I don’t remember saying what he said I did. But we still crave for results. But God calls us for more than this. He calls us to be “light for the nations, so that my salvation may reach the ends of the earth” (Isaiah 49: 6). That’s not something we can plan or measure. 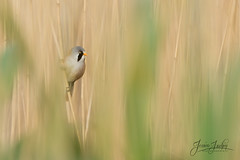 But it calls for faithfulness in little things – done in love. The Gospel for Monday of Holy Week is Mary anointing the feet of Jesus in Bethany. Judas complains about the price of the nard Mary used. The evangelist explains that he did this not because he cared for the poor but because of his greed: he was a thief. This verse has been one of the most misused and misunderstood. The Lord truly, as the Servant Song of Isaiah puts it, calls for the victory of justice – a justice that is a right relation with God and with our sisters and brothers, especially the poor. Charity and justice and grateful generosity to God and others are the ways we can live in the justice of God – not making excuses for not sharing with the poor.